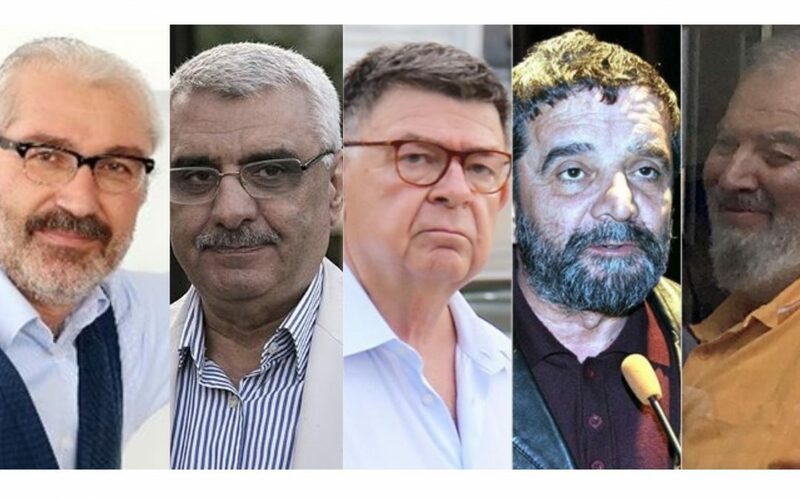 An indictment prepared by an İstanbul prosecutor seeks three consecutive life sentences for 30 individuals who include journalists and executives from the now-closed Zaman daily on coup charges. The Zaman daily, which was affiliated with the Gülen movement, was first seized by the Turkish government in March 2016 and the closed down by a government decree in the aftermath of a failed coup attempt on July 15, 2016. The government holds the Gülen movement responsible for the coup, a charge strongly rejected by the movement. There are a total of 30 suspects in the indictment, 21 of whom are jailed. Mümtazer Türköne, Şahin Alpay, Ali Bulaç, Ahmet Metin Sekizkardeş, Ahmet Turan Alkan, Alaattin Güner, Cuma Kaya, Faruk Akkan, Hakan Taşdelen, Hüseyin Belli, Hüseyin Turan, İbrahim Karayeğen, İsmail Küçük, Mehmet Özdemir, Murat Avcıoğlu, Mustafa Ünal, Onur Kutlu, Sedat Yetişkin, Şeref Yılmaz, Yüksel Durgut ve Zafer Özsoy tutuklu, Ahmet İrem, Ali Hüseyinçelebi, Süleyman Sargın, Osman Nuri Arslan, Osman Nuri Öztürk, Lalezer Sarıibrahimoğlu, Nuriye Ural and Orhan Kemal Cengiz are mentioned as suspects in the indictment. Professor İhsan Duran Dağı, who used to work as a columnist for Zaman, is cited as a fugitive in the indictment. İstanbul Public Prosecutor İsmet Bozkurt, who wrote the indictment, is seeking three consecutive life sentences for the Zaman staff on charges of attempting to overthrow the constitutional order, the Turkish Parliament and the Turkish government and a jail sentence from 7,5 years up to 15 years on charges of being members of an armed terror organization. Former Zaman executives Hüseyin Gülerce and Nurettin Veren are cited as witnesses in the indictment, which has been approved by the İstanbul deputy chief public prosecutor İsmail Uçar and sent to the İstanbul 13th High Criminal Court. The court is expected to review the indictment in 15 days and either approve or reject it. If the indictment is approved by the court, the Zaman journalists and executives are expected to appear before a court soon. The indictment mentions excerpts from the columns of some Zaman journalists such as Ali Bulaç, Ali Ünal, Mümtaz’er Türköne as their support for coup. The military coup attempt on July 15 killed over 240 people and wounded more than a thousand others. Immediately after the putsch, the Justice and Development Party (AKP) government along with President Recep Tayyip Erdoğan pinned the blame on the Gülen movement. According to a statement from Interior Minister Süleyman Soylu on April 2, a total of 113,260 people have been detained as part of investigations into the Gülen movement since the July 15 coup attempt, while 47,155 were put into pre-trial detention.